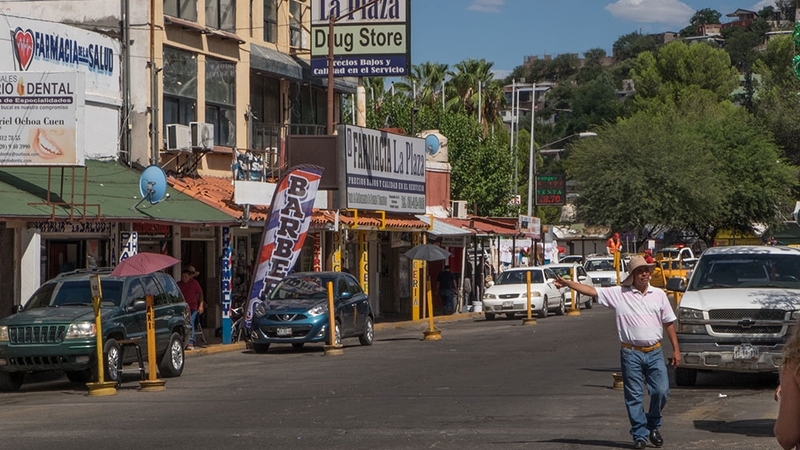 Nogales, Arizona – Jesus Perez, a shuttle bus driver in Nogales, Arizona, worries about what would happen if US President Donald Trump followed through on his threat to close all or parts of the US-Mexico border. “Most customers we get, come to do business, or in the high season, they come for tourism,” Perez, 53, told Al Jazeera. Business is often good, but Perez said if the border is closed, he and others in the city would feel almost an immediate effect. In recent months, Trump has repeatedly threatened to close the border, citing what he has called an immigration “crisis”. Last week, the US president for the first time issued the threat with a timeline. “If Mexico doesn’t immediately stop ALL illegal immigration coming into the United States through our Southern Border, I will be CLOSING the Border, or large sections of the Border, next week. This would be so easy for Mexico to do, but they just take our money and ‘talk’,” he tweeted last Friday. He appeared to walk back on that timetable earlier this week, however, saying he was pleased to see Mexico had taken steps. But on Wednesday, he doubled down, calling on Congress to act or the “border or large sections of the border will close”. Trump is facing pressure to keep the border open by Democrats and those within his own party, as well as business groups and those living in cities in the United States along the border, including in Nogales, where residents fear potential economic harm. Mexico is Arizona’s number-one trading partner. According to the University of Arizona’s Economic and Business Research Center, over the last three months, the state averaged $682m a month in exports to its southern neighbour. Additionally, around two million people cross the border between Mexico and Arizona northbound for business and tourism each month, spending billions of dollars a year in the state. That’s only part of the total amount of trade and international tourism between the US and Mexico. In California, the city of San Diego and the Mexican city of Tijuana have many business relations. The same is true for a number of other cities on the border, including El Paso, Texas and Ciudad Juarez, Mexico. Nearly $1.7bn of good and services cross the border daily, according to the Chamber of Commerce, which also said that five million American jobs that depend on trade with Mexico would be at risk if the border was to close. Senate Majority Leader Mitch McConnell told NBC News on Tuesday that closing the border “would have potentially catastrophic economic impact” in the US. Many who work and live in these areas agreed. 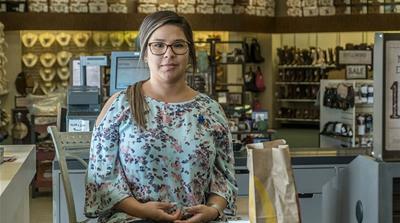 “Nogales survives completely from Mexicans crossing over,” said Lizeth Babuca, who is a teller at a local bank in Nogales, Arizona. “The quality of the materials is better here, so people come for that. And they do have money to spend,” she added, saying just a few weeks of a border closure would be disastrous for local businesses. Businesses on the Mexican side of the border would likely feel an immediate effect as well. In Nogales, Mexico, Jose Pastrano, a dentist at a clinic near the port of entry, told Al Jazeera that business was already down from normal. Because of high healthcare costs in the US, many Americans cross into Mexico for medical reasons. The Mexican city of Los Algodones, just over the border from Yuma, Arizona, is sometimes referred to as “Molar City” because so many Americans have their teeth done there. In recent weeks, Pastrano’s schedule was fully booked, but over the last few days, he has had slower-than -normal days. On Wednesday, he had only one client scheduled. The other two dentists working at the clinic stayed home because there was no work. Pastrano said lines at the border were longer than normal, slowing down to a waiting time of an hour and a half at least. “We have our rent and our secretary to pay, so it [closing the border] should not take too long,” Pastrano added. Trump maintains a border closure may be needed to stem irregular immigration as thousands of Central Americans make their way to the border to apply for asylum, fleeing violence, extreme poverty and persecution. In February, Trump declared a national emergency on the border to circumvent Congress and obtain billions of dollars for his promised border wall. Congress passed a bill to revoke the measure, but Trump vetoed it. The emergency is still being challenged in the courts. US Customs and Border Protection (CBP) said last week that it had apprehended or encountered close to 100,000 migrants at the border in March, the highest figure in a decade. Responding to surge, the US government reassigned hundreds of its agents from commercial to immigration duties last week, creating long delays at some border crossings. Not everyone at the Nogales crossing on Wednesday believes a closure would be a bad thing. Hank and Bonnie Walton, from Oklahoma, come to Mexico every year to buy cattle. “They are thrifty, they don’t get sick, as opposed to American cattle,” Hank Walton told Al Jazeera while waiting in line to cross back into Arizona. The Waltons buy the cattle through an importer, which brings them into the US. Although closed borders would affect them personally, they both believe it could also be a good way to put pressure on Congress. “We do have a crisis with migration, I believe that,” Bonnie Walton told Al Jazeera. “So if closing the border is what it takes, that’s what we have to do. You do what you have to do,” she added. But shuttle bus driver Jesus Perez disagreed, saying there is no emergency at the border. “Nothing really changed here in Nogales in the past 20 years,” Perez said.